Check out this video of The Spill Canvas and AM Taxi recorded live from uStream! The most popular picks from Facebook fans will be named the Peoples Choice album and song of the year. 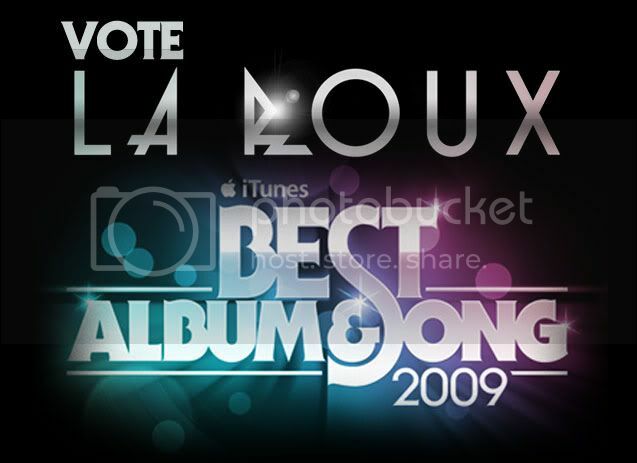 Both In For The Kill and the La Roux album are shortlisted in the top 20 songs and albums of the year; voting is open now and closes at 5pm (GMT) on December 1. Winners will be announced early December. Please note, in order to vote you must be a fan of the iTunes (UK) Page plus, you can only vote once in each category. The Anvil Experience is coming to the Boston area tomorrow at the Palladium at Worcester, MA. 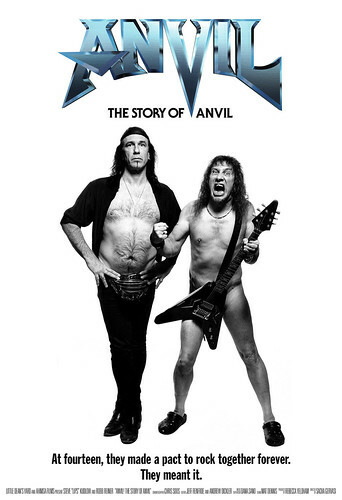 For those of you who don't know, the Anvil Experience is where you get to see that new rock-doc called Anvil! The Story of Anvil (which has been called the real life This Is Spinal Tap) and then the band performs a short set immediately following. My friends saw this in NYC and said it was the best thing ever. This is an Open Happiness post. The band on Desperate Housewives on 11/16/08 = Tokyo Police Club!!!! Did anyone catch that the band that battled the boys on DH were Tokyo Police Club from Canada? I love them!!! she sounds like her too. listen to her song "down the drain" or "love is for pussies"